anything with petal and stem. See all the things I fail at? Vandana Khanna was born in New Delhi, India and received her M.F.A. from Indiana University in Bloomington, where she was a recipient of the Yellen Fellowship in poetry. Her collection of poetry, Train to Agra, won the 2000 Crab Orchard Review First Book Prize. 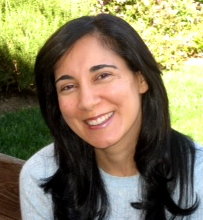 Ms. Khanna’s work has been nominated for a Pushcart Prize and has appeared in journals including Crazyhorse, Callaloo and The Indiana Review, as well as the anthologies Homage to Vallejo, Asian American Poetry: The Next Generation and Indivisible: An Anthology of Contemporary South Asian American Poetry. She lives in Los Angeles, California. Beautiful. This feels like something I face often — an unspoken moment between conjuring the energy to create something and secretly facing the uncertainty of whether or not the design will be successful. I smell the heat and steam… Kudos!